LIVE EVOLVED? Well, this is the tagline for the lavish Lodha Luxuria Priva by the Lodha Group. I got a chance to visit this dream-like property. - Located at Majiwada, Thane, considered as a haven for the elite. - With great infrastructure, lush greenery and premium shopping malls, there is nothing more you could ask for. - This gorgeous dream-like property is well-connected to all the significant parts of the Mumbai metropolis. - Soak up the views of the Thane Creek, Ulhas River and Kalwa Hills from your tastefully done up space. In a place like Mumbai which is polluted and poor air quality chokes us, our life expectancy is decreasing every year. The stressful lifestyle and the daily commute takes a toll on your health and mind. In a situation like this, your only recourse would be to come back home to a space that serves as a perfect backdrop for a healthy lifestyle and greener environment. I got a chance to visit this mesmerizing property in Thane, and was left awestruck. The place has all the high-end facilities that anyone could ask for. Some of the amenities like jogging track, leisure pools, fitness centre, courts, water walls and theme gardens, will take you into another world. There’s even a clubhouse called Club Priva – a massive 10,000 sqft expanse that hosts Furtadoshosts Furtados School of Music and Sandip Soparrkar’s Dance School giving flight to every passion. Lodha Luxuria Priva has an exclusive alliance with the Evander Holyfield Gym and boasts of a boxing ring that is aimed to bring out the champion in you. While touring this Maha RERA registered project from Lodha Group, I was introduced to the fitness icon Ramona Braganza, Hollywood’s leading celebrity fitness trainer and once voted Vogue’s fitness expert of the year. At the age of 55, she is a woman who gives real fitness goals. 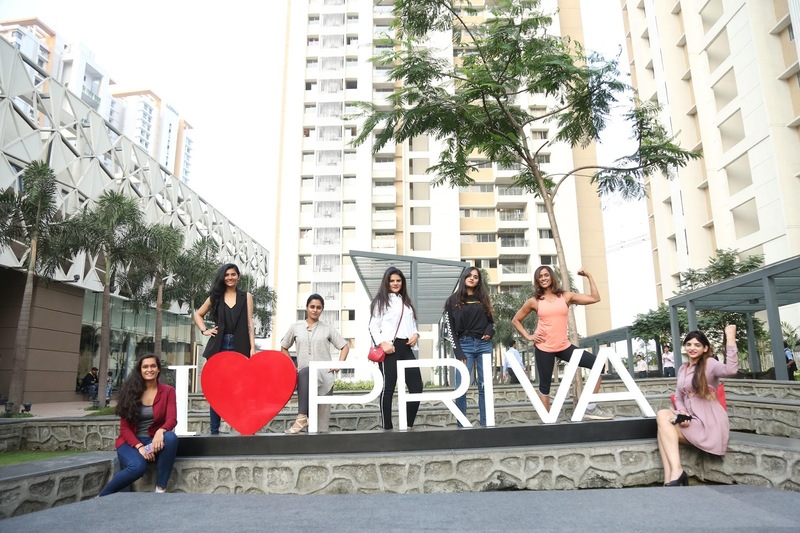 Lodha Luxuria Priva in Thane, is one of the exclusive properties in India where residents have access to her patented 3-2-1 Fitness Program aimed at burning fat, increasing stamina & managing stress. We had an exclusive interactive training and Q&A session with her while she gave us insights on fitness, lifestyle and clean eating. She even talked about her alliance with Lodha Group - Luxuria Priva. She showed us some exercises and quick fitness workouts which can be incorporated into our daily life. Our hectic lifestyle and mundane work can be quite stressful and having gym/fitness facilities is a saviour. Lodha Luxuria Priva fulfils this need with state-of-the-art fitness facilities situated centrally within the property. Ramona Braganza also shared a few more fitness mantras on how she ensures that her diet is a balance of various nutritional components. She eats everything but exercises portion control. However, you need to eat as per your fitness goals and take dietary precautions.